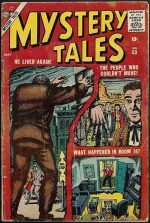 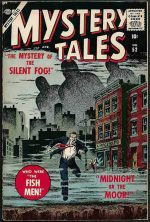 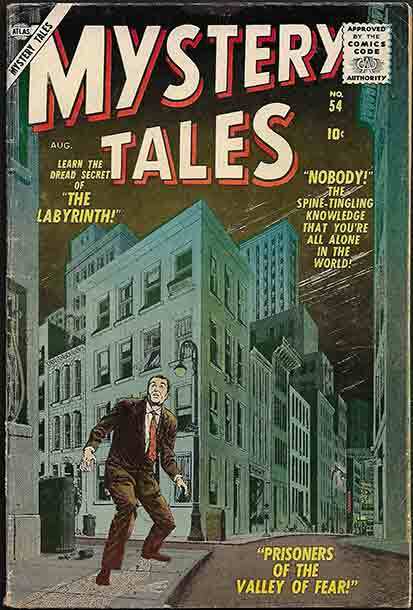 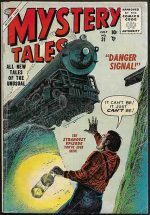 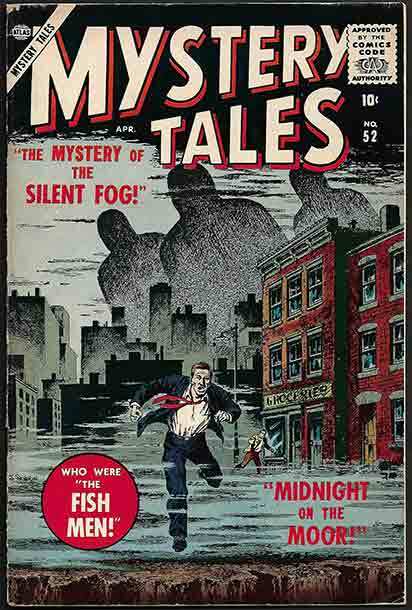 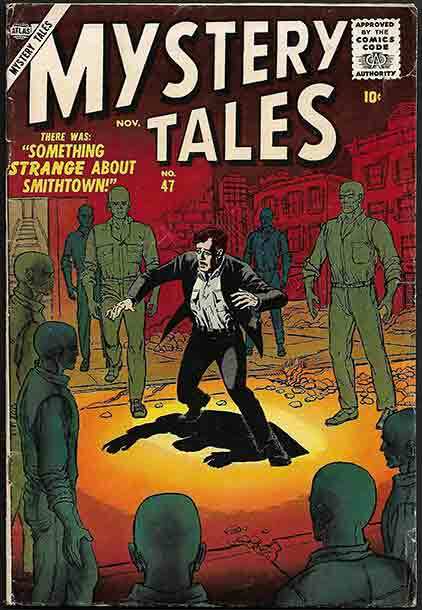 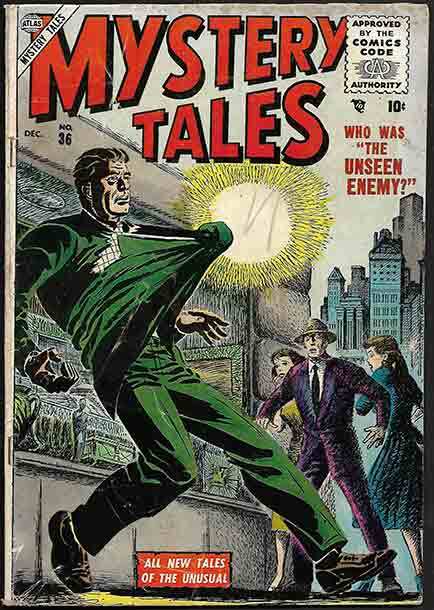 *Horror 1940-1959: Mystery Tales was one of Atlas’ longest-running horror/mystery series, to the extent that we had to split our stock over two updates; previously, we brought you the Pre-Code issues, up to #26, and with this update we add in the Post Code numbers, from #27 in 1955 to the series’ conclusion in 1957 with issue #54. 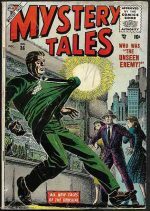 This strong run, lacking only 5 issues, features the usual plethora of top-ranking artists: Heath, Morrow, Orlando, Maneely, Powell, Everett, Romita, Severin, Williamson, Krigstein and a rookie named Steve Ditko. 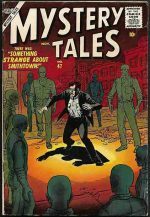 Illustrated: #28 GD/VG £53, #31 GD/VG £53, #32 GD/VG £53, #36 GD/VG £53, #47 VG £72, #52 FN £105, #53 VG £71 and #54 VG+ £79. While the illustrated items are remarkably consistent mid-high grades, the rest of the title is in a variety of conditions, including many complete but low-grade issues to suit all budgets. 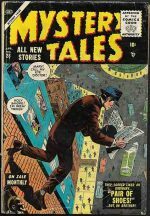 Full details of all issues, as always, in our online catalogue.